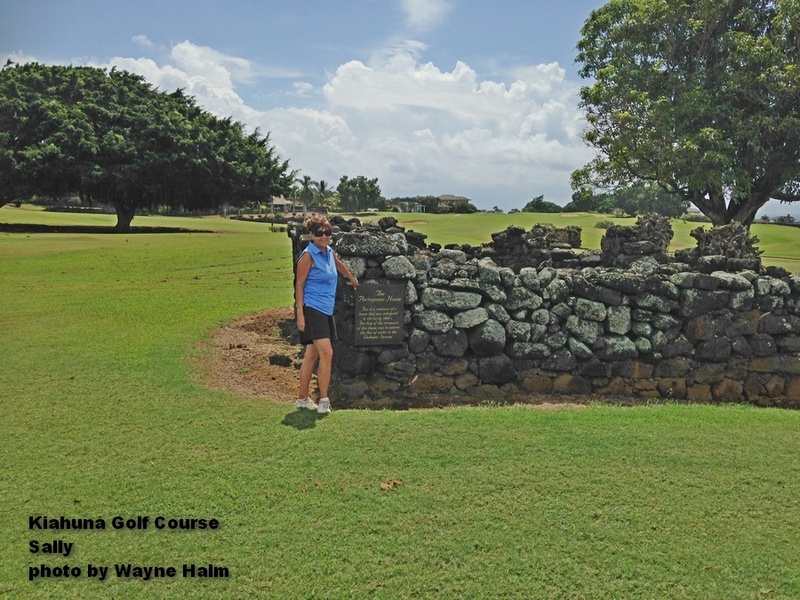 On September 30th 2017 I played the Kiahuna Golf Club in Poipu on Kauai. My wife, Sally, came along to “coach” me. Sally’s Dad was the Head Football Coach at West Jefferson High School when I attended … coaching is in her blood. Honestly I needed the practice … and the coaching. 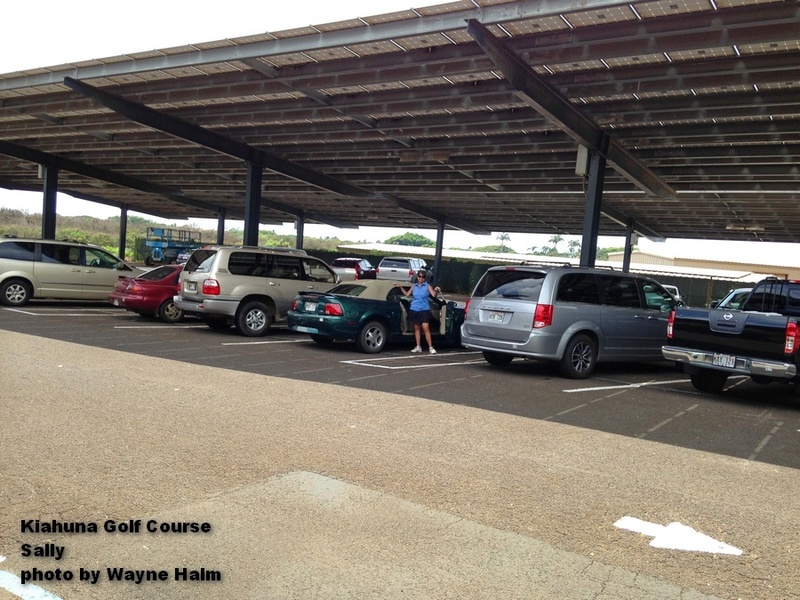 The Kiahuna Golf Club offers some really nice features … the first players experience is covered parking. Look closely … the roof is made of solar panels. 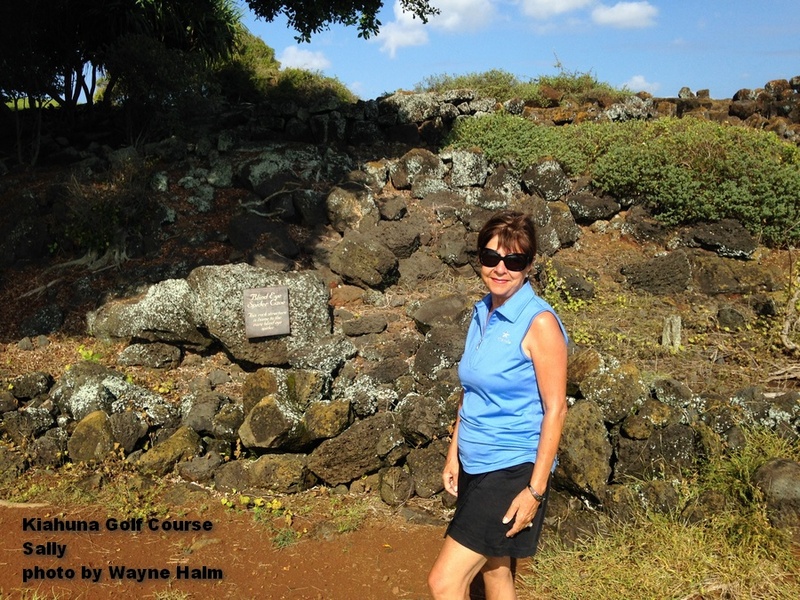 The course contains and protects a number of archaeological sites … it also provides habitat for some rare species. Sally approved of this and agreed to be photographed so I could show it. Then she read the sign … and ran away yelling unladylike expressions at me. 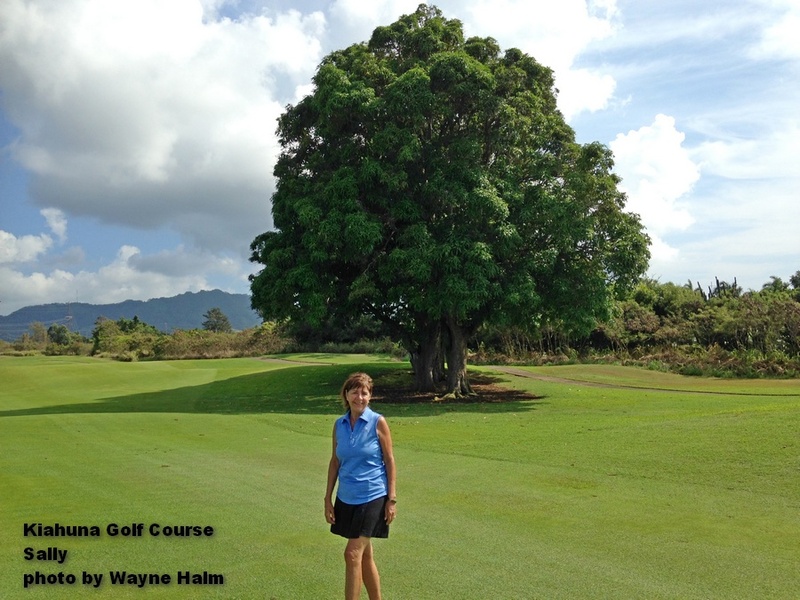 Additionally the course cares for some magnificent Mango Trees … and the endangered species they feed. When the Mangos are ripe and falling, the Nene (Hawaiian Goose) gather under the trees and feast on the fruit. 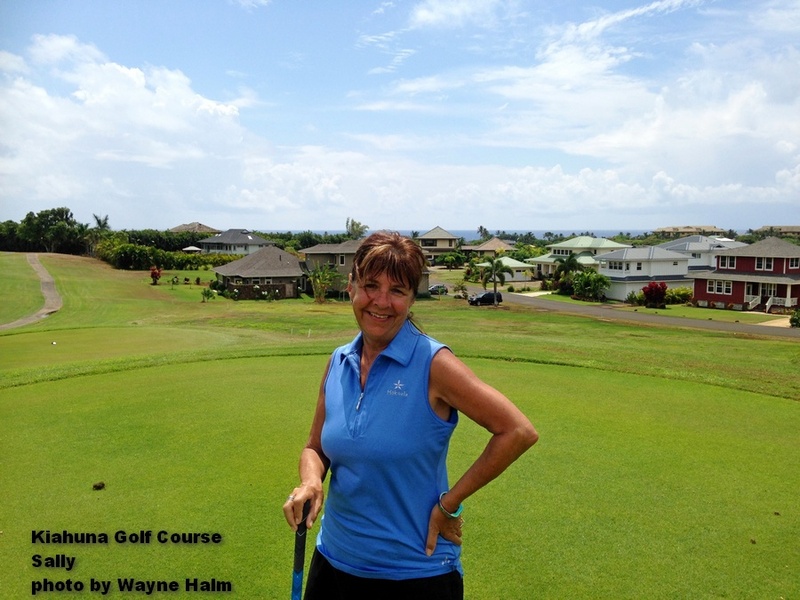 Sally has her hotel, The Koloa Landing Resort, present a standing prize to golfers. Yes, it has been won … more than once. 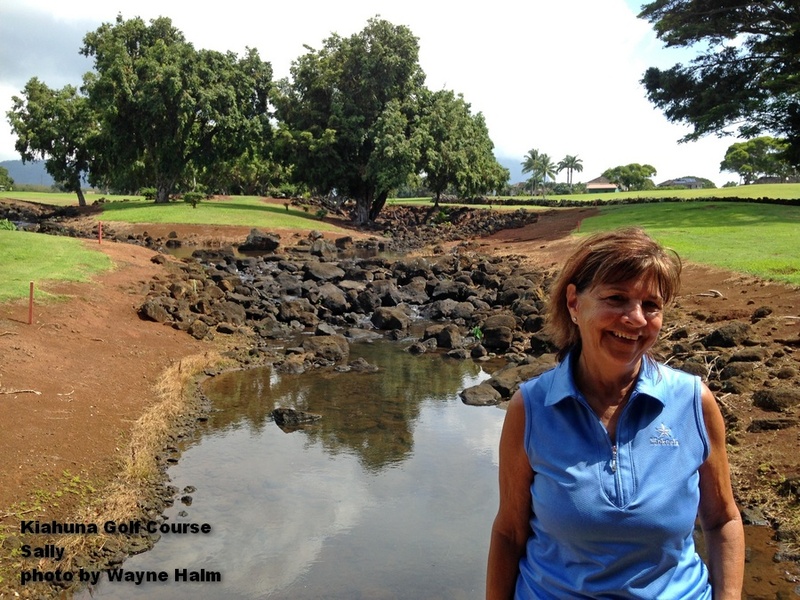 Kiahuna is an inland golf course but it does have some water features … perhaps the most remembered by golfers is the Waikomo Stream. 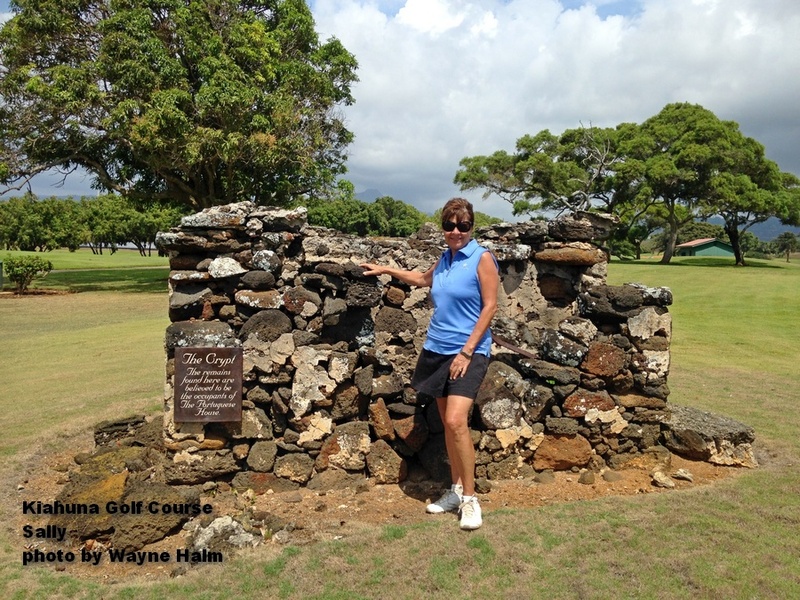 During the Plantation Days the stream was controlled and used for irrigation … Now it flows freely and enjoys a steady diet of golf balls. 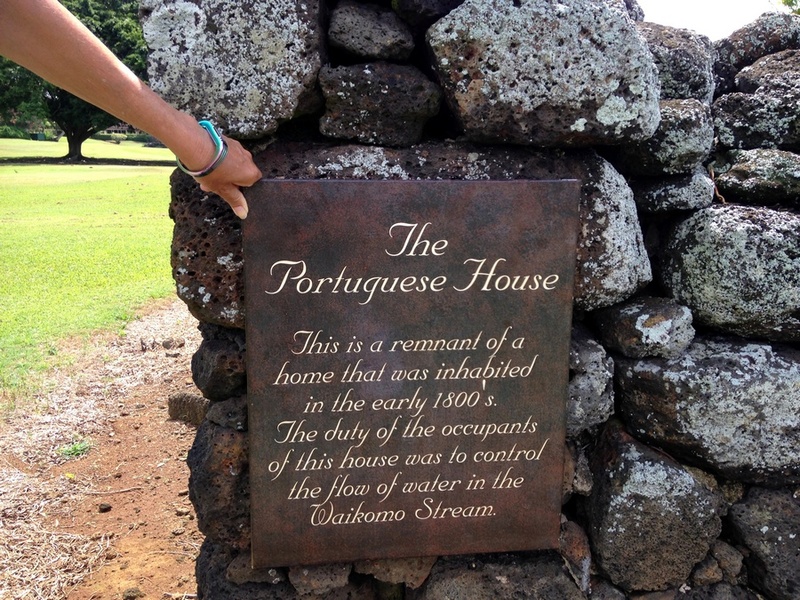 Managing the stream must have been an important job back in the early 1800s … a house was built for the people doing it. 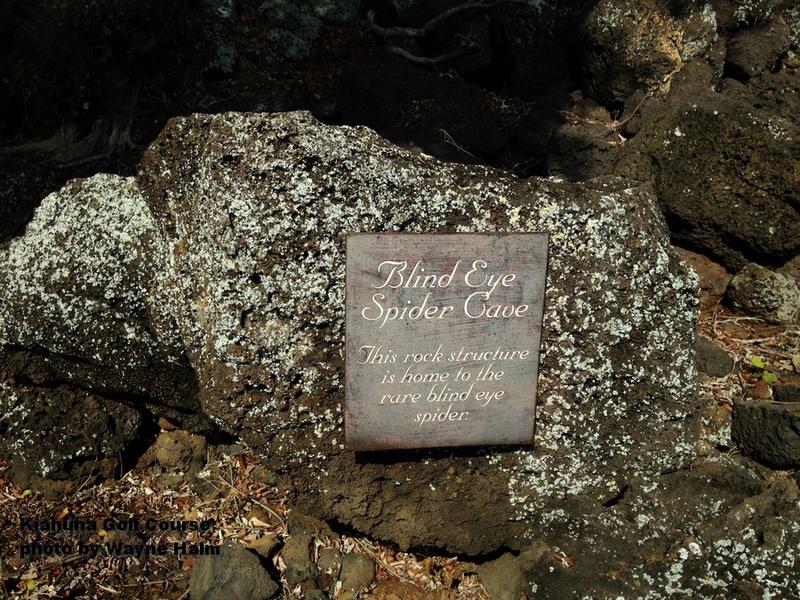 Lava rock walls are durable … these are around 200 years old. Apparently managing the stream was also a lifetime job … because a crypt was built nearby. 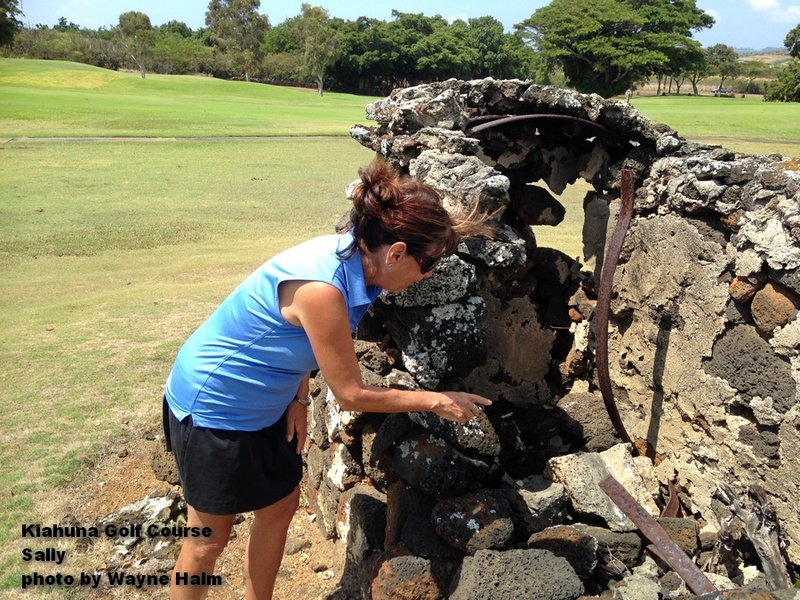 How many golf courses have an actual crypt on the premises? Yeah, Sally checked for bones, everyone does. 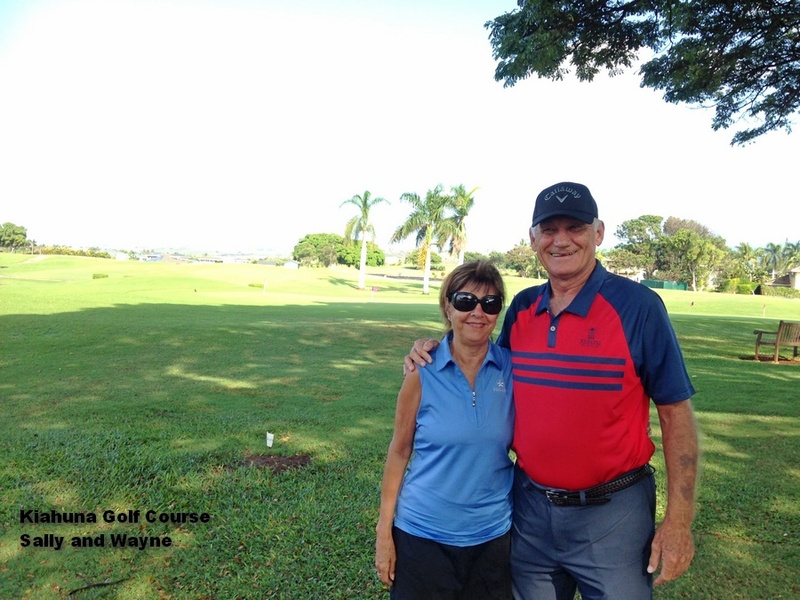 But I had just missed a 4 foot putt and she felt the need to add, “Okay Wayne, you will fit in there.” The Coach does not tolerate failure well. All in all this was another great fun day on the golf course … and the coach seemed happy with my progress. Though maybe she was just relieved that I won’t be going out “on tour” anytime soon … I think she has gotten used to having me around. Anyway … Come play golf with me. Great to hear you are still playing and writing again. Sally sounds like an awesome coach! Feels good to be back. Yeah, I sometimes win when Sally is coaching … mostly because the other guys are laughing their butts off at me. Good to see you back – I’ll have to get my practice in since you have the benefit of personalized coaching! I’ll give you a ring when get there. Wow – a month to go. Been looking forward to it for 18 months! All right … I’m looking forward to it. We’ll have a good time. 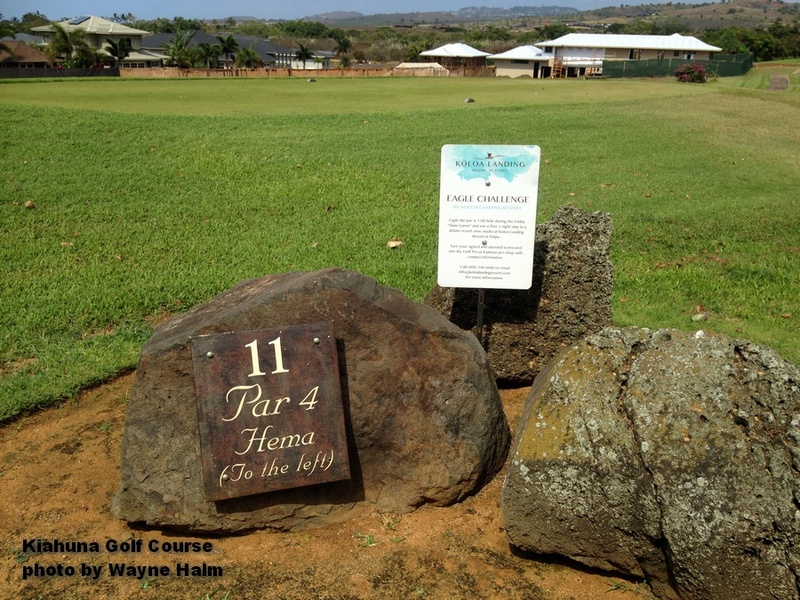 I’ve been in some Kauai golf withdrawal lately so I am thrilled to see this! Coach Sally sure knows how to drown out the noise and make this game sound pretty simple — I like it! 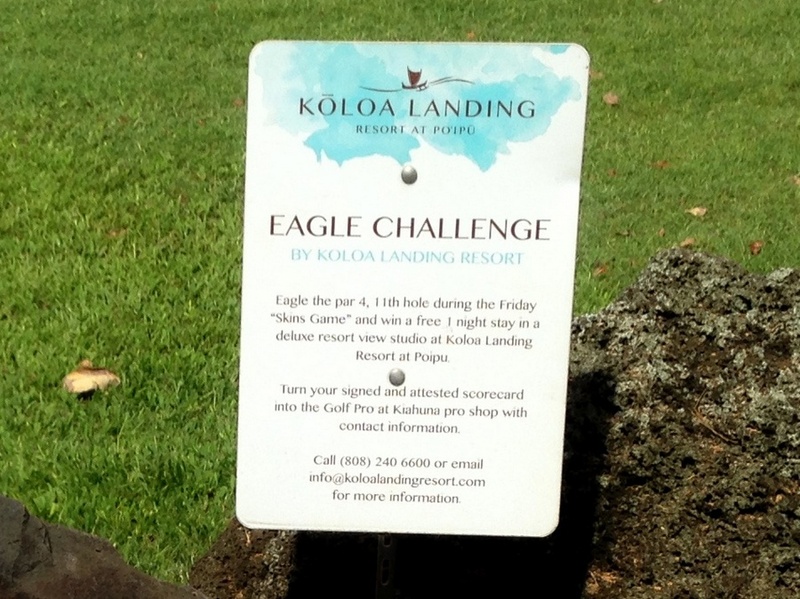 Kauai and golf are still here … I’ve just gotten lazy. And yes, the Coach can get rough on me. Give my best to Beth.